This has made the company the first among mainstream automakers to launch an AR technology based guide. Hyundai has recently announced that before the close of the year, it will become the first among the mainstream automakers to launch mobile app that provides augmented reality features to its owner’s manual. The Hyundai Virtual Guide mobile app is the automaker’s strategy for bringing its owner’s manual to today’s consumer. This augmented reality mobile app has been created to convert the traditional vehicle owner’s manual into one that can be enhanced through the use of a smartphone or tablet. The app will provide owners with additional how-to information for properly maintaining their vehicles, about common types of repairs and to help drivers to better understand the features of their cars. To start, the application will be compatible with only one Hyundai model, but over time it will be launched to function with other models as well. At the start, the augmented reality features will work with the 2015 Hyundai Sonata user manual. There are already 45 major features of the 2015 Sonata that can be recognized by the Virtual Guide mobile app. This is a free application and can be downloaded by iOS and Android based device users from the Apple App Store and from Google Play. 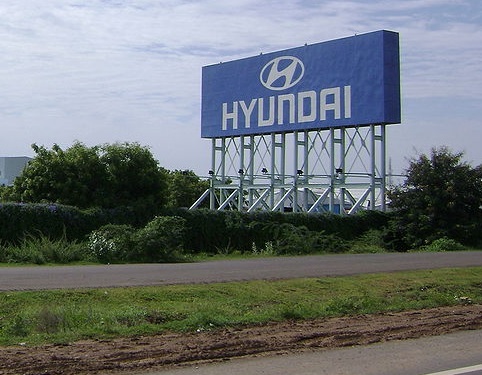 Hyundai decided on the features that it would spotlight with the AR technology through the application of the results of a quality consumer survey. It focused in on the features that were considered to be the most difficult to use so they would be worked into the Virtual Guide for added user support. The hope is that through the additional descriptive abilities of AR technology, it will be easier for vehicle owners to understand their features and will be able to use them more effectively. The augmented reality app is also made up of 82 different how-to videos, as well as six 3D overlay images that can be viewed overtop of the real-life image of their actual vehicle when the parts of the car are scanned with the smartphone or tablet camera. Among the areas that can be scanned are the dash and engine bay. The application currently provides over 50 info guides.